This is such a delicious dessert and… dare I say borderline healthy?! 6 simple ingredients come together to make a delish dessert and of course, it involves a lot of chocolate. In a small bowl, mix the almond milk and chia seeds together until thoroughly combined. Let it sit for about 20 minutes or until the chia seeds are plumped up, stirring the mix a few times throughout the 20 minutes. Once the seeds are plumped (it should be a pudding-like consistency), stir in the cacao power and maple syrup until combined. As the milk and chia mixture are sitting, use a mortar and pestle to smush the mint leaves into a paste-like substance (a 1/4 cup will be reduced to about a Tbsp once smushed). Transfer that into the chia mix and stir until combined well. This can be eaten immediately, but I think it tastes a bit better if it’s placed in the fridge for a little while to chill. 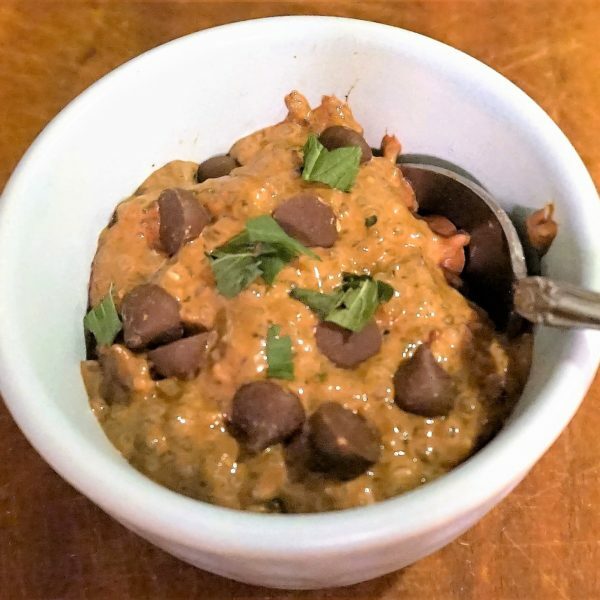 Divide into 2 small bowls (or don’t be ashamed if you eat all of it in one sitting every once in a while, like I have done ), garnish with chopped mint leaves, and top with a few chocolate chips, if using. Before heading to bed, put 1 cup of almonds in a bowl, pour filtered water over them until they are submerged. Place a cover over the bowl and let soak for about 8 hours. Drain and rinse the almonds in a colander. At this point, you can definitely make almond milk, however, I will sometimes let mine set in the colander over the sink for another 6 to 8 hours to fully drain and continue sprouting. Place the almonds in a bender (preferably high powered, but the not-so-high powered blenders also work well) with as much of the 4 cups of water you can fit in with the almonds (I usually can fit 3 cups in). Blend on high. Depending on your blender, this could take anywhere from 1 minute (high powered) to 3 minutes (not-so-high powered). This may take some trial and error, just depending on the individual blender. You are looking for the soaked almonds to be pulverized in the water, but not so pulverized that the pieces slip through the strainer into the milk. Take a nut milk bag (I actually use a jelly strainer – has a tighter weave than a nut milk bag) and pour the milk through that into a large bowl or pitcher. Squeeze the bag (I twist the top of the bag so the pulp doesn’t squish out of the top) until you get all of the milk out of the pulverized nuts. The result will be a beautiful creamy milk. If you strained into a bowl, pour into a pitcher. If there is water remaining from the 3.5 to 4 cups, add that to the pitcher and stir to combine. The milk should last for up to 5 days in the fridge. 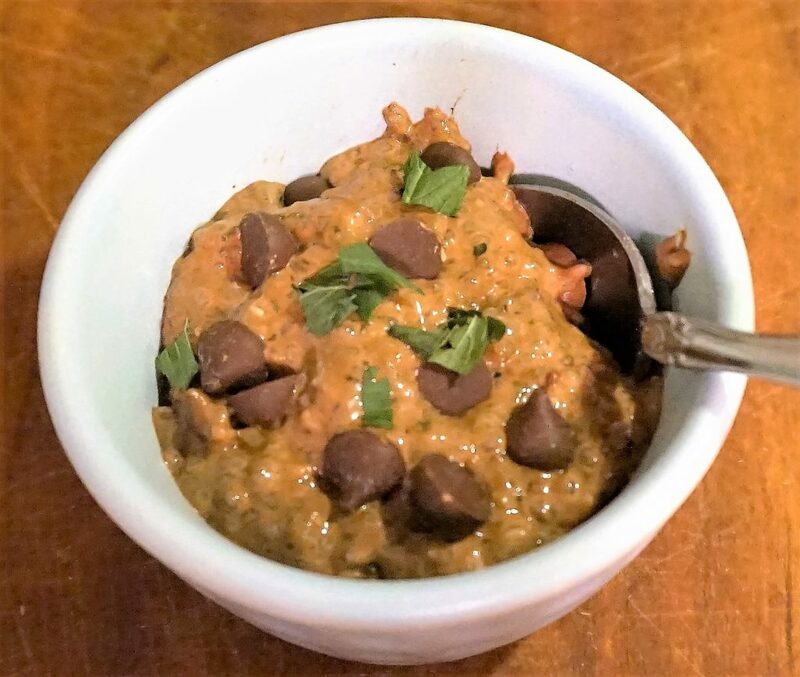 OUR STORIES | chia, chocolate, dessert, Foodie Friday, pudding, Recipe | March 22, 2019 .